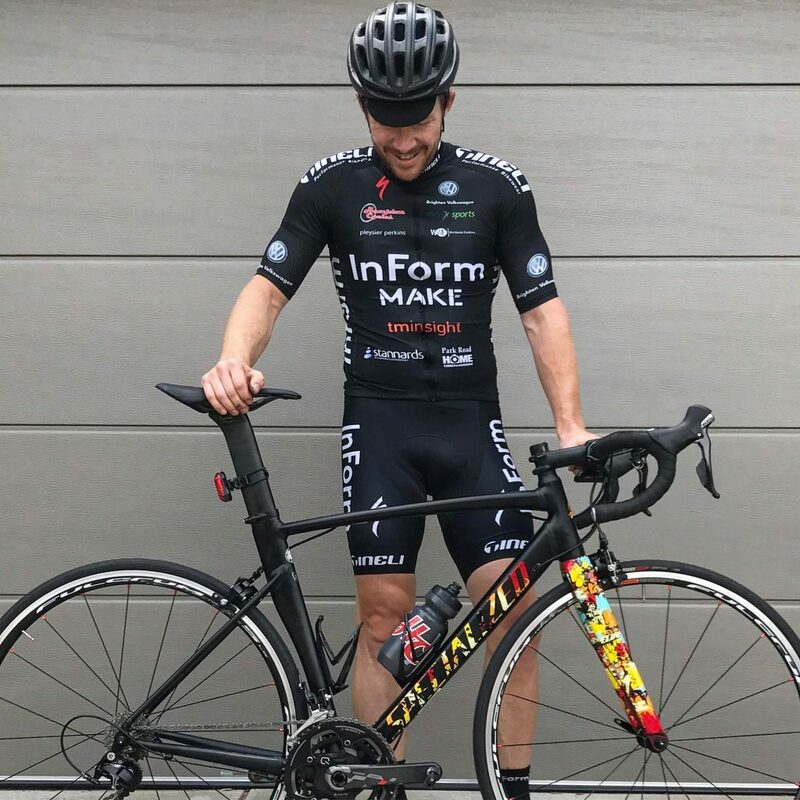 In this article I will outline a different strategy to researching and making a purchasing decision for the best road bikes under $3,000 AUD. It’s a three step approach that should leave you with the best possible solution for your bike riding needs in 2018 and beyond. But before I try and twist your arm with a new paradigm of ‘best road bikes’ under $3,000, let me tell you a little story. It was 2008. I’d started doing triathlons and for the first few events I decided to hire a road bike. With a desire to keep entering triathlons after my first few attempts I decided it was time to buy a road bike outright. My budget was $3,000 or less. 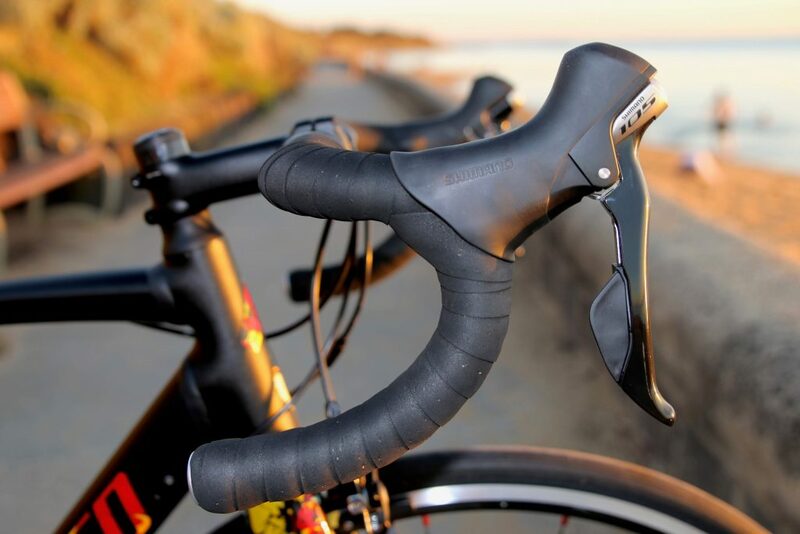 (Check our Bike Chaser’s road range <$3,000). My strategy for this purchase was to look online – searching/filtering by cheapest – and to visit bike shops to see what specials they had on offer. I was focused on price. My main prerequisite was a 100% carbon fibre frame. If someone probed me as to why I wanted a fully carbon fibre road frame at that point in time, my response would have been far from compelling. I knew they were lighter and that’s what the professionals used. For those reasons I had it in my head that I needed a carbon fibre road bike. After a few weeks of researching online and weaving in and out of multiple bike shops, I ended up on a Scott CR1, with Shimano Tiagra gearing, and Shimano WH R 500 wheels. The bike actually ended up costing me closer to $2,000. I’d become so fixated on price it was hard to deny a strong brand name that was fully carbon with Shimano components. Don’t get me wrong, the bike was OK. 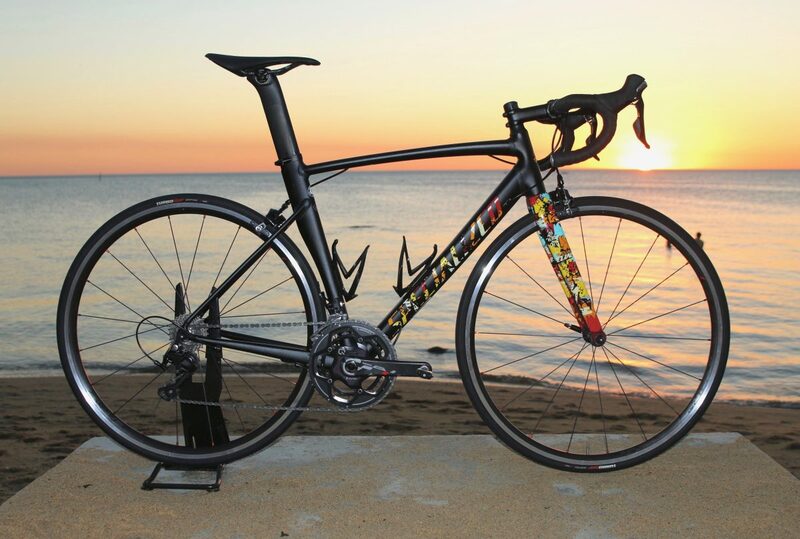 In fact, I rode it so much that I upgraded six months later to a Specialized Tarmac. However reflecting on this first road bike purchase – while it was good enough to provide a platform to entice me further into the great sport of cycling – if I had my time again I would have done it a lot differently. Fast-forward to the back end of 2017 and I was back in the market for a $3,000 road bike. I had recently sold my high end Specialized S-Works Tarmac, pocketed some money, and realised that all I needed to facilitate my current cycling requirements was a road bike that’s circa $3,000. I was no longer racing in the Victorian Road Series events nor was I needing to tackle monster climbs with speed. In addition to these four points I also wanted some ‘bling’ factor. I’d been riding road bikes that retail for over $10,000 for the past 5 years so style and aesthetics has become an inadvertent need. Without trying to sound vain, I secretly enjoy staring at my road bike from time to time and also taking photos of it for my Instagram feed. Thus, I needed something with eye catching appeal. While I’m conscious I’ve had 10 years of road cycling to help guide my wish list, there’s no reason a beginner can’t spend some time really thinking about what type of riding they’ll be doing – fast, endurance, racing the clock, beach cruising etc. For more information of what road bike could be best suited for your needs, check out our 2018 road bike buying guide. The bling factor on this bike should be clear. Graffiti on a stealth aerodynamic machine. Once you have a picture in your head about your road biking needs, take your requirements to a local/convenient bike shop. A) Why a local bike shop vs online? Personally, I went rouge online for almost three years. I defected from the local bike shop and became addicted to getting everything cheap. I’ve never bought a complete bike online but everything in-between – components, wheels, accessories, more wheels etc. A couple of years into my online fling and I’d discovered a couple of defining factors that turned me back to the local bike shop. I’d become wasteful and overwhelmed with cycling gear. For example, I bought wheels that buckled so often I ended up leaving them in the garage and buying a new set. Sure, I could have sent them back, but I never did. Too painful for my operating rhythm. I took them to a local shop once to get fixed (at a fee) but I felt guilty about it, so I didn’t return when they buckled again. In addition, I ended up with so many poor quality bike lights I had a box full of them after 12 months. Had shopping online actually cost me more? Full story here. I lost a connection with my journey companion. After I recognised that online shopping was actually ‘costing’ me more, it took me another year or so of being back dealing with my local bike shop Hampton Cycles to recognise the value of that relationship. Personally, I love lurking around bike shops and chewing the fat. It fills a void in my week; that need to be surrounded by road bikes and seeing what’s new from Wahoo, Specialized or Cervelo. It’s also an opportunity to hear about local rides, coaching organisations and industry news. Topics of conversation that creates ideas and aspirations for me to follow. Without this connection those conversations did not occur and I was just left with lots of cheap cycling gear and a hollow feeling in my cycling soul. I’ve bought road bikes from four different bike stores over the journey so I know first-hand there are good and bad dealers out there when it comes to listening and understanding your needs. Its also important to have a place you can go that is genuine about supporting your journey and not in it for a quick sale. Is the store in a convenient location to your work or home? What is their special discipline? (If they’re predominately a ‘mountain bike’ shop and the store owner is a keen mountain biker, then it might not be the place for you to buy a road bike). What do people say about them online? Including their mechanics. Check reviews. What is the first thing they ask you? Are they listening to you to understand your needs or trying to clear stock? Do they demonstrate empathy and patience? If you tick these five boxes you’re onto a winner. Now it’s time to share your message loud and clear. Is the local but shop in a convenient location? Do their interests and skillsets align to your interests? Do they listen to your needs? Do they demonstrate empathy and patience? So back to my example. I wanted a bike that was aerodynamic on the flats; looked pleasing to the eye, and with gearing that was robust enough to endure some fast paced bunch riding and crit racing. After speaking about my needs to my local store, we decided to go with a custom build, but before doing so I needed to sell my own bike. Having a relationship with Hampton Cycles meant they could also guide my selling process too, particularly in terms of price points and key aspects that I should focus on when selling. While I was in the process of selling my bike, Tim Storer from Hampton Cycles gave me a ring. 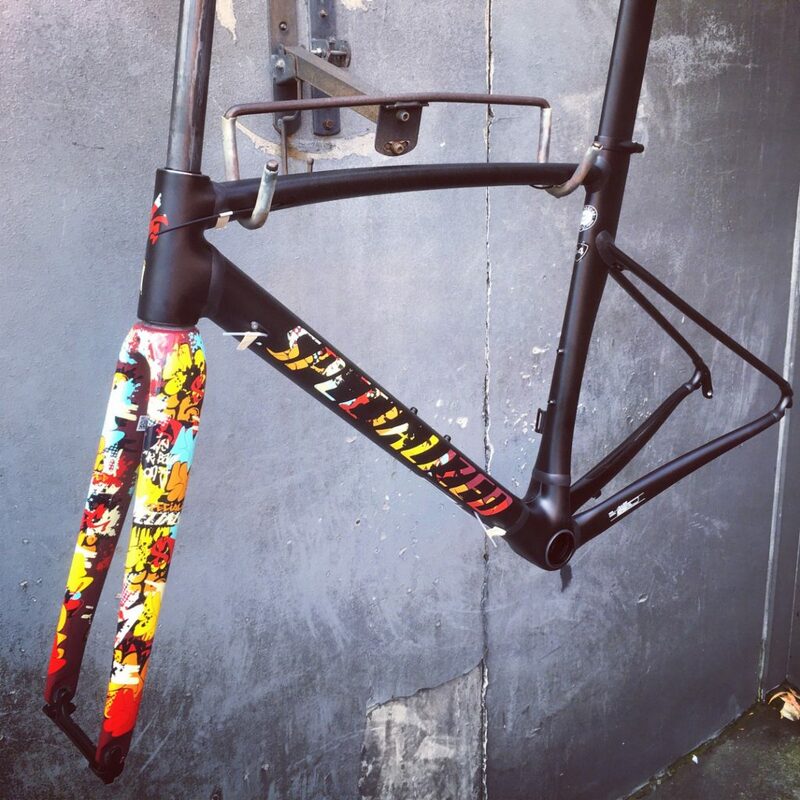 “We have a limited edition Specialized Allez Sprint Gloss Graffiti Clean that’s just come in the door.” The next day I went into to see it and put down a deposit. It was beautifully crafted and had a paint job that would be sure to catch the eyes of many. Some will question why I would chose an alloy bike over carbon fibre? In my opinion the weight and comfort gains are so minimal at a $3,000 level that you hardly notice them. In addition, my priority for this purchase was aesthetics and frame geometry. The Allez was a big winner here. I wouldn’t go any lower than 105. You start really jeopardising smooth and reliable gear changes. However Shimano 105 gearing is rock solid and perhaps even more reliable than it’s more expensive counterparts. Once I had a frame in mind it was time for components. Over the years I’ve become familiar with the lower end of Shimano’s componentry range. Sora, Tiagra, 105 and Ultegra. For me, the buck stops at 105. Anything below a 105 and I’m not confident in the consistency and robustness for the gearing. From 105 and above, it’s just a matter of weight and electronics. Given my tight budget I asked Hampton to source some Shimano 105 gearing, with a stock Specialized handlebar and stem, and hopefully some room left over for some deeper dish wheels. Enjoying this article? Subscribe to our mailing list here. The biggest impact you can make on a road bike, outside of the frame, is the wheels. 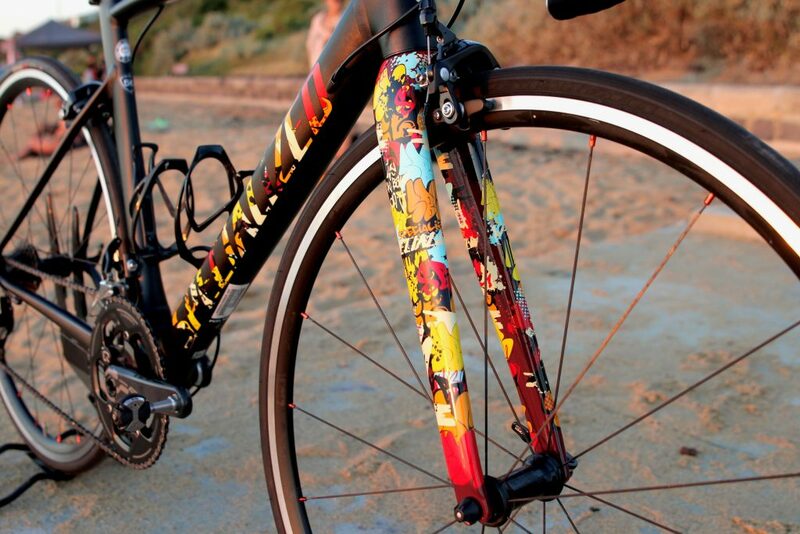 You can literally transform a bike in seconds by swapping rims. Therefore, getting the frame and gearing right upfront becomes critical. Wheels, not so much. When I was advising Hampton Cycles about my ideal road bike for under $3,000 I was being a little cheeky, pushing the boundaries of the relationship. And why not! I am the buyer. The boundary I was pushing was the wheels. The bike was fully built – with exclusion of wheels – and we had $400 left. Not much for some epic deep dish wheels! The frame and components were key in building the platform. Not having enough budget for eye catching wheels, I’d much rather spend the money on frame and components upfront, than have quality wheels with an average frame and components. I strongly expressed my desire to have some eye catching wheels and Hampton Cycles store owner Damian Jones went sourcing for me. He was working on my behalf, speaking with distributors and manufacturers about any excess or left over wheel stock they might have. I wasn’t expecting super light Zipp aero wheels on the cheap, but a set of alloy wheels with a deeper profile would at least further enhance the ‘eye catching’ appeal on the bike until I can afford a wheel upgrade down the track. After a week of assessing the market, Damian had identified a distributor with excess stock of a 30 mm alloy clincher road wheel with a solid and reputable brand name. Sold, I said, as I hung up the phone. My bike was now complete, and by chance, I had just sold my old Tarmac only days prior. It was time to go pick her up and enjoy #newbikeday. 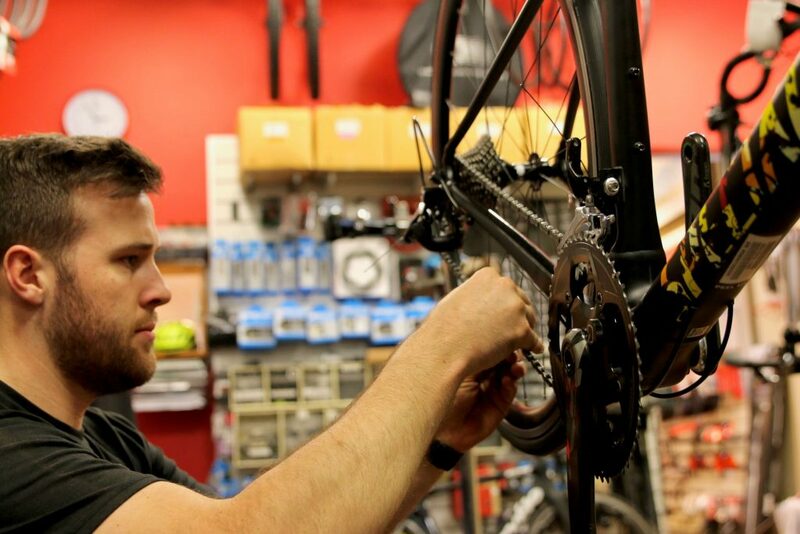 Having mechanics with a solid reputation is another key consideration when selecting a bike shop. Close attention to detail from a mechanic is key. Here, Darcy Woolley from Hampton Cycles is getting the chain length nailed. You’d be surprised how often chain lengths can be mistaken, leaving a rider with sloppy gear changes and an unsafe riding platform. Despite the fact I knew my fit dimensions (see here) and the brand reputation of the components that resided on my new bike, I needed help from Hampton Cycles only weeks after I departed with my new bike. Firstly, the Allez Sprint frame geometry is slightly different to the Tarmac. On a Tarmac I’m a 54 cm, whereas I need a size 56 cm Allez Sprint. This left a slightly longer top tube on the Allez, resulting in a need to drop down from a 110 mm stem to a 100 mm. I found that the extra reach was causing some lower back discomfort. Having the relationship with Hampton Cycles meant that I could swap it over at no cost. Secondly, the wheels looked good but didn’t ride well. I won’t name names because even the best wheel companies in the world have defects and I may have been one of the unlucky ones. A quick test in Hampton Cycles and they agreed the wheels needed to go. One hour later I was back at Hampton Cycles with a new 100 mm stem, new Fulcrum 5 wheels and tuned gears. This is what the wheels looked like with the deeper profile alloy wheels. The 30 mm profile gives the bike a more aggressive look, but unfortunately the wheels were no good. Luckily I purchased the bike through a bike shop and was able to swap them out quickly. While the Fulcrum 5 wheels don’t make the bike ‘pop’ as much as I’d like, for $400 you can’t go wrong. They roll exceptionally well and over the years they’ve become lighter and lighter, making them a solid companion for climbing. If you haven’t been able to read between the lines, the two key points you should be taking away from this article are to (1) analyse your unique bike riding needs and then (2) establish a relationship with a good local bike shop. Don’t focus specifically on discounted stock and the best deals you can find because there’s a fair chance you end up with a bike and bike shop that isn’t well aligned to support your journey. Finding the right bike shop for you and advising on your preferred needs, not only will leave you with a quality ride, but also the confidence you have a partnership when things go wrong and when you need some quality advice. Happy Chappy with my new bike fully built and also in my new InForm Make ‘support crew’ kit. You can see in this shot I still had the stickers on the Fulcrum 5 wheels. I think the bike looks better without. What do you think? I’d love to hear your thoughts in the below comment section. Yes, I know this is not truly under $3,000. Although it’s not far off it, and it should be noted that I did not negotiate with my bike shop at all! You may have also noticed a Sram power crank which I happened to have lying around in the garage before building this bike. A Shimano 105 crank would have set me back another $200. Thus, the total above – at list price – would have gotten to $3,218. However speaking with Hampton Cycles – if I had to squeeze this under $3,000 exactly, could I have done it? Absolutely, was the answer. All I needed to do was speak up and negotiate. But unfortunately it was the one thing I forgot to do. I was too busy running around documenting the whole process! Lastly, let’s not forget the other happy chappy, who bought a second-hand road bike with confidence, thanks to my relationship with Hampton Cycles. 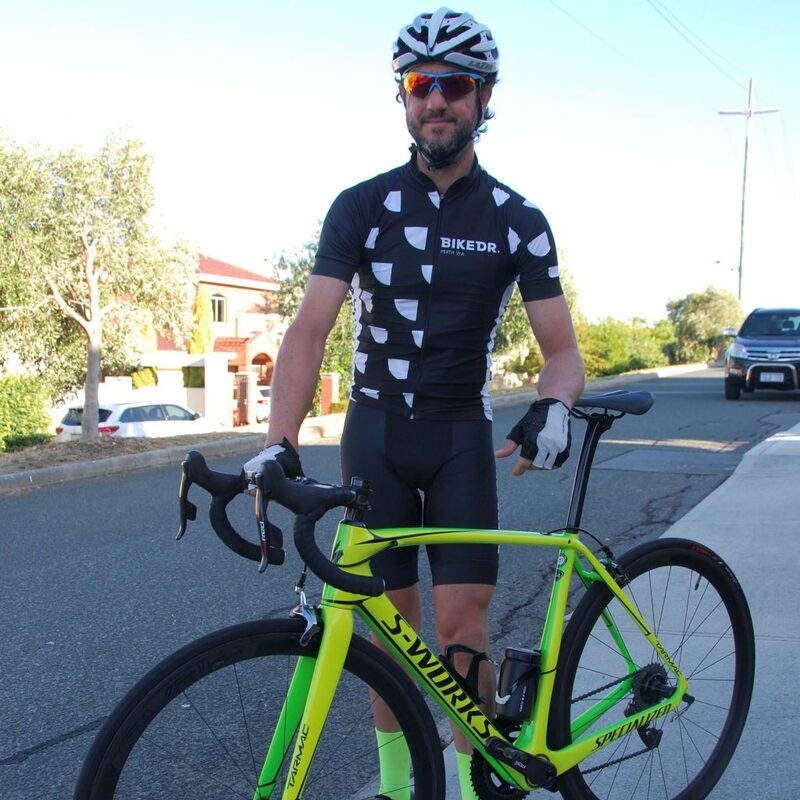 Having a relationship with my local bike shop meant they could validate the quality of my old bike with a potential buyer I had in Perth (Frank Rossi pictured with my previous road bike – 2017 S-Works Tarmac). They then packaged my Tarmac into a box, free of charge (as I was buying a road bike through them) and dealt with the courier to send the Tarmac to Perth. A massive value add for anyone out there needing to sell their road bike before making that next purchase. I just recently acquired a set of Fulcrum 3’s and de-stickered them. Nice one Ian. Hopefully you didn’t have as much trouble as me when de-stickering! Totally agree with the need to support the local bike shops. Although I didn’t buy my current road bike from my local bike shop, I did drop in fairly often and bought a few stuff from them. Service from them is warm and friendly, and now knowing that they are the real deal, I try to join in for their regular bike shop rides. Thanks Kevin, appreciate the comment and you sharing the experiences with us. The local bike shop can play an integral roll in fostering the cycling community that’s for sure! Great article and awesome looking bike. Quick question though, do you believe that because this was a custom build bike that you have ended up paying a premium in terms of overall bike cost compared to something else with similar build and specs. 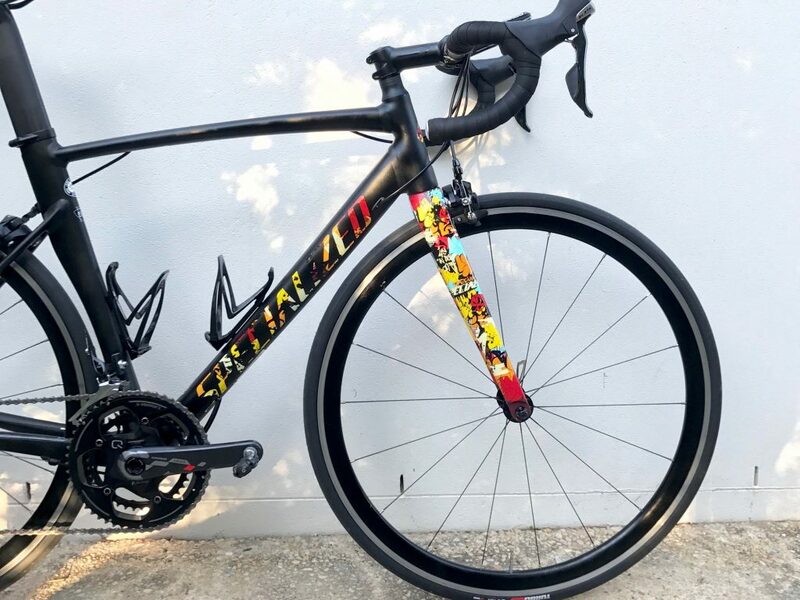 I’m just thinking about say a carbon frame bike (E. G. specialized tarmac) with Shimano 105 being around the same in cost or even a little less? Far better yet is to buy an upper-middle/lower-upper range bike that is 1-3 years old. Let someone else take the sticker shock and turn it into your sweet deal when they upgrade (again). Most used road bikes (esp. in that age/price range) don’t have much wear and tear, but still include very nice components.